Great for retail stores, our compact register forms will help you save time during your transactions. 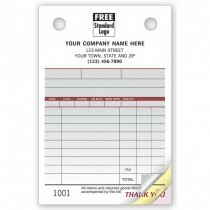 These pre-printed register forms simplify write-ups of customer information, salesperson, description of items, payment method & more, customized with your information for a professional look. 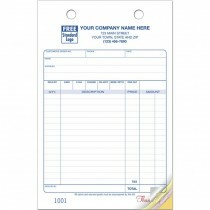 Use these Register forms with your portable register to capture details on the spot.